To be eligible for selection, athletes must have achieved the following entry standards. Event entry is now available online at www.athsvic.org.au and entries will close 11.59am (midday) Thursday 30th November 2017. Please note – your entry will not automatically guarantee you a place in either event. Athletes selected in the final fields for both Men’s and Women’s events will be emailed by 5.00pm Friday 1st December 2017 and the entry list posted on the Athletics Victoria website. Athletes must be a current financial member of an Australian State/Territory Member Association or an International equivalent IAAF affiliated Association/Federation. Priority 3 - athletes that have not achieved the entry standard but have competed in a 10,000m or 5000m (track) event or a 10km or 5km IAAF-AIMS certified road event. *As this event is a National Championship places in the final field will not be provided for pace runners. *Interstate or International athletes that require early confirmation of their entry to book flights and accommodation may request confirmation before the closing date by contacting Athletics Victoria CEO Glenn Turnor on glenn@athsvic.org.au or by calling 03 8646 4506. *Athletics Victoria and Athletics Australia will determine the final field in their absolute discretion. The 2018 Australian Athletics Championships and nomination trials are the pinnacle event of the Australian Athletics Calendar, with a four-day event commencing on the 15th February on the Gold Coast. This event also boasts as the Commonwealth Games nomination trials. Entry information will be released shortly. A DRAFT TIMETABLE is currently available. The final timetable will be confirmed following the close of entries. 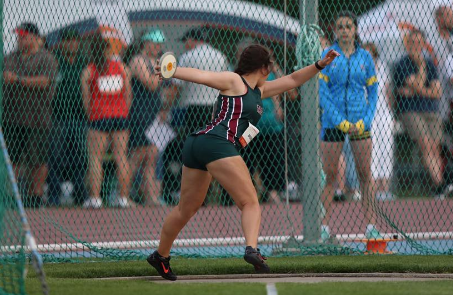 Entries for this event are taken by Athletics Tasmania following the Tasmanian Junior Championships. School Sport Australia Cross Country Championships, 10yrs - 19yrs. The Sunday Mail City-Bay Fun Run has a long history of providing significant assistance to Australia’s elite distance runners. Suitably qualified athletes (eight male and eight female) will be provided with a range of assistance packages that may include travel, accommodation, transfers and race entry. To enquire if you have met the required standard for assistance packages, please contact Race Director, Joe Stevens, via email: racedirector@city-bay.org.au. All other athletes interested in participating in this championship must enter via the event website listed above. Please take note of entry deadlines. The Blackmores Sydney Running Festival will welcome Australia's best marathon runners for the next three years, with Athletics Australia partnering with the world-renowned event to deliver the 42,195km championship for men and women. All age groups are determined by an athletes at the 31 December in the year of competition.